Stay at Brunswick Plantation Villas for 3 nights and play Brunswick Plantation Golf Club, Crow Creek Golf Club and Farmstead Golf Club. In addition to three great courses, guests staying at Brunswick Plantation can also play a free nine holes during their stay (based on day of play availability). *Prices based on 4 golfers per villa. *Excludes applicable taxes and fees. *Based on a minimum of 3 nights & 3 rounds. *One round must be played at Brunswick Plantation. 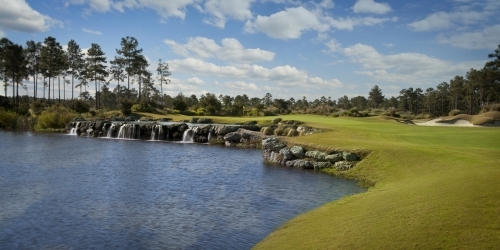 *Each package includes a free nine-hole replay at Brunswick Plantation (based on day of play availability). When calling 800-332-8576, please mention you saw this golf package on NCGolf.com. Brunswick Islands reserves the right to change price and offer at anytime. Prices and offer are subject to change without notice. NCGolf.com is not responsible for errors posted in this golf package.